Not sure whether to buy the Intex Aqua Y2 or the Intex Aqua 3G smartphone? Get first-hand comparison between the two to help you make the right choice. 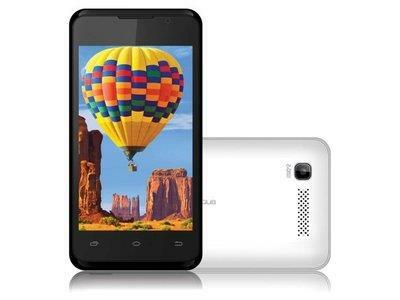 I am confused about selecting between Intex Aqua Y2 and Intex Aqua 3G. I just want a comparison between them so that I will know which is the better one. I want to buy a smartphone among those two mentioned above & hence I want to compare them. You can compare the features and select according to your choice. Display: Intex Aqua 3G features a 4 inch TFT screen which supports display resolutions of up to 800 X 480 pixels. 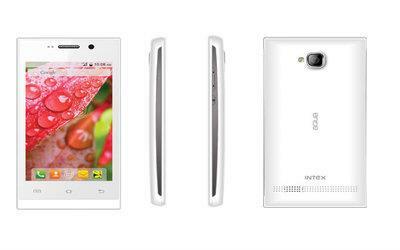 While as Intex Aqua Y2 features a 4 inch IPS display which supports resolutions of up to 854 X 480 pixels. Processor & RAM: Intex Aqua 3G is packed with 1 GHz Dual core processor which is paired up with 512 MB RAM. While Intex Aqua Y2 comes with 1.2 GHz Dual core processor with 512 MB RAM. Camera: Intex Aqua 3G comes with a 2 MP rear camera and a VGA front camera, featuring panorama and continuous shot. While Intex Aqua Y2 comes with a 5 MP rear camera and a VGA front facing camera. It features panorama shot, HDR & continuous shot. MicroSD & Storage: Intex Aqua 3G comes with a 256 MB internal storage and has MicroSD support of up to 32 GB. While Intex Aqua Y2 comes with 4 GB of internal storage and it also supports MicroSD of up to 32 GB. Winner: From the above mentioned specs comparison of these two smartphones, it is clear that Intex Aqua Y2 is a clear winner in almost every aspect. PS: Both the smartphones features Android v4.2 (Jelly Bean) and supports both 2G and 3G networks. Intex Aqua Y2 and Intex Aqua 3G both are Intex Smartphones. According to the price basis Intex Aqua 3G is cheaper than Intex Aqua Y2 and has less feature than Y2. Intex Aqua 3G has a 2 MP Primary camera and 0.3 MP Secondary camera whereas Intex Aqua Y2 has 5 MP Primary Camera with Flash and 1.3 MP Secondary camera. Here Y2 can give you better images than that of 3G because the camera quality of Y2 is much better than 3G. Intex Aqua 3G provides you 4-inch WVGA capacitive touch screen having a screen resolution of 800x400 pixels and 16 M colours support whereas Intex Aqua Y2 has same screen size but the resolution is higher than 3G that is 854x480 pixels. Intex Aqua 3G has 256 MB RAM and 510 MB Internal memory which can be expanded upto 32 GB using a SD card whereas Intex Aqua Y2 provides its users more than that of Intex Aqua 3G. Y2 provides 512 MB RAM and 4 GB internal memory which can be expanded upto 32 GB using a SD card. Both Smartphones has the same Android v 4.2.2 Jelly Bean Operating System with a dual core processor. Intex Aqua 3G provides 1400 mAh battery but Intex Aqua Y2b has 1500 mAh battery. Intex Aqua Y2 has more feature than 3G hence it's better than Intex Aqua 3G. 1. It is a touchscreen mobile phone with a long usable battery of 1600mAh. 2. It comes with a great stylish design. 3. It comes with a big screen of 4.50inches with a resolution of 480x854 pixels. 4. It comes with 1.2GHz dual-core Processor and with a RAM of 512MB that makes it to function smoothly. 5. It comes with an internal storage of 4GB and the storage can be expanded using microSD card up to 32Gb that makes it to have a large storage space. 6. It comes with a primary camera of 5-megapixel with flash and the secondary camera of 0.3-megapixel . 7. It comes with the Android 4.4 in it. 8. It supports Java, WiFi, Bluetooth, Headphones, FM, Micro-USB. 9. It is a dual SIM mobile phone. 10. You can get this at the cheapest price on snapdeal.com that is RS. 4,010. 1. It is also a touchscreen device with a long usable battery of 1600mAh. 2. It comes with a screen size of 4.00inches and a resolution of 480x800 pixels. 3. It comes loaded with 1GHz dual-core processor and with a RAM of 256MB. 4. It has internal storage of 512MB but it can be expanded using microSD card up to 32GB. 5. It has a primary camera of 2-megapixel with flash and a secondary camera of 0.3-megapixel. 6. It comes with Android 4.2 . 7. It supports Java, WiFi, Bluetooth, GPS, Headphones and many more. 8. It is a dual SIM mobile phone. 9. You can buy this device at the cheapest price on Snapdeal.com at the price of RS. 3,200 . In comparison between Intex Aqua Y2 and Intex Aqua 3G I think Intex Aqua Y2 is better than the Intex Aqua 3G. 1. Display- This phone is very good for those who want a big screen at an affordable rate it has a 4.5 inch display with a good resolution of 480x854 and a capacitive touch screen. 2. Processor- It has a powerful dual core processor of 1.2 GHz which can give you a good performance in gaming as well and in other applications. 3. Battery- It has a powerful 1600 mAh battery which is removable as well and it can last long under the power saving mode. 4. RAM- It has a 512 MB RAM it is fine for those who just want it for simple task and it is not so good for those who want to play powerful games on their phone. 5. Storage- It has an internal memory of 4GB and it can be expanded up to 32GB by a micro SD card. 6. Camera- This phone has a really good camera compared to its price. It has a Rear camera of 5 MP and a front camera of 0.3 MP which is good for a phone in this range. 7. Android- It has an Android 4.4.2 KitKat which can perform many functions in the phone. This phone also supports JAVA as well. It has a 3G network which provides you a good speed for browsing and downloading as well	and it has an inbuilt WIFI and Bluetooth as well and it also supports dual sim. Its price is around Rs.4,500. 1. Display- It has 4 inch display which is good for those who want a medium display size phone and has a resolution is 400x800 with a capacitive touch screen. 2. Processor- It has a powerful 1GHz Dual core processor which would give you fine performance and will help you to run some of the powerful apps. 3. RAM- It has a RAM of 256 MB which would help you to play some of the apps but not many of the powerful apps. 4. Storage- It has 512 MB internal memory which can be expanded up to 32GB by a micro SD card. 5. Camera- It has 2 MP rear camera and has a 0.3MP front camera without flash. 6. Android- It has a 4.2Kitkat Android which can perform many functions on your phone. It has a 3G network which provides you a good speed for browsing and downloading as well and it has an inbuilt WIFI and Bluetooth as well and it also supports dual sim. Its price is around Rs.3,500. If you want to purchase any one of them then go for Intex Aqua Y2 because its specs are very nice according to the range. So you should go for Intex Aqua Y2.